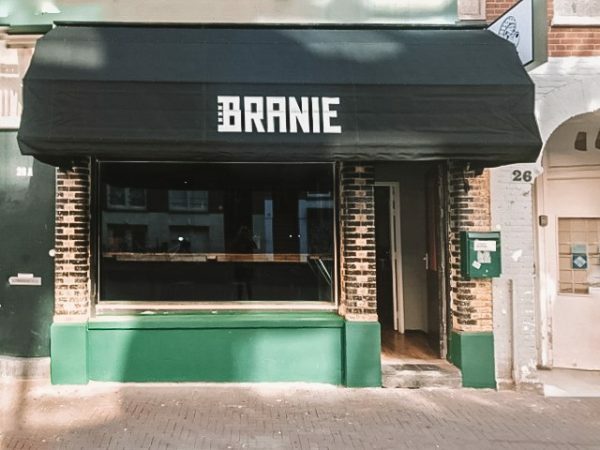 When I arrived at new joint Branie, on the Ten Katestraat in Amsterdam, I had no idea what to expect. The front window had a crack in it, and there was only a small sign. You would walk straight past it, to be honest. Once inside, I was welcomed by the owner and the wonderful Indonesian hostess (who is also co-responsible for the menu). 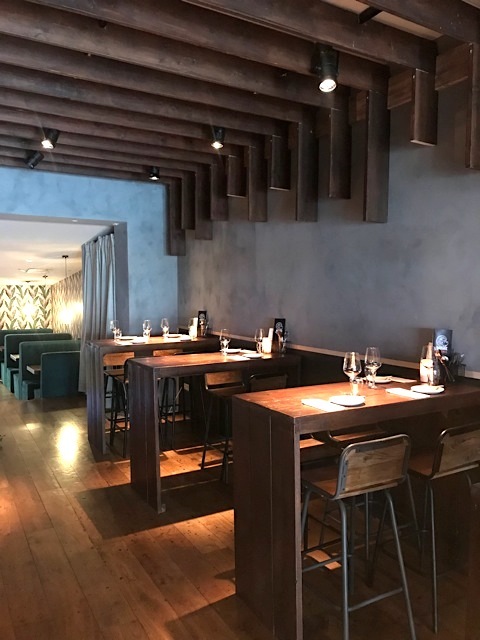 I was totally blown away by the innovating dishes and incredible spices. 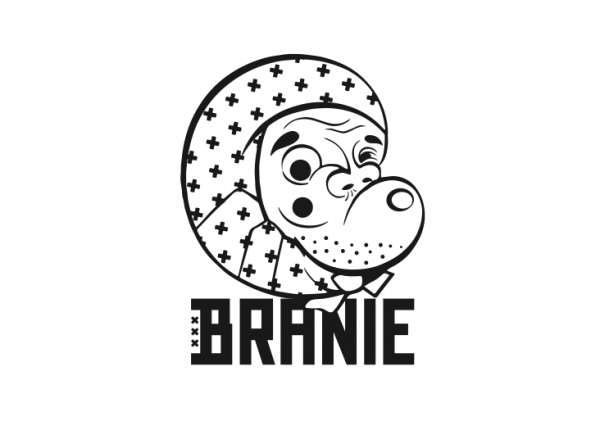 Let me introduce..
I’m told that the name Branie is a combination between an Indonesian and a typical Amsterdam word. It means daredevil, but in a cheeky way. It totally reflects the menu and cocktails. Owner Remco, previously owner of secret cocktail bar Porem, tells me that he wanted to combine his Indonesian roots with the Amsterdam spirit. In Asian countries, people share their food. 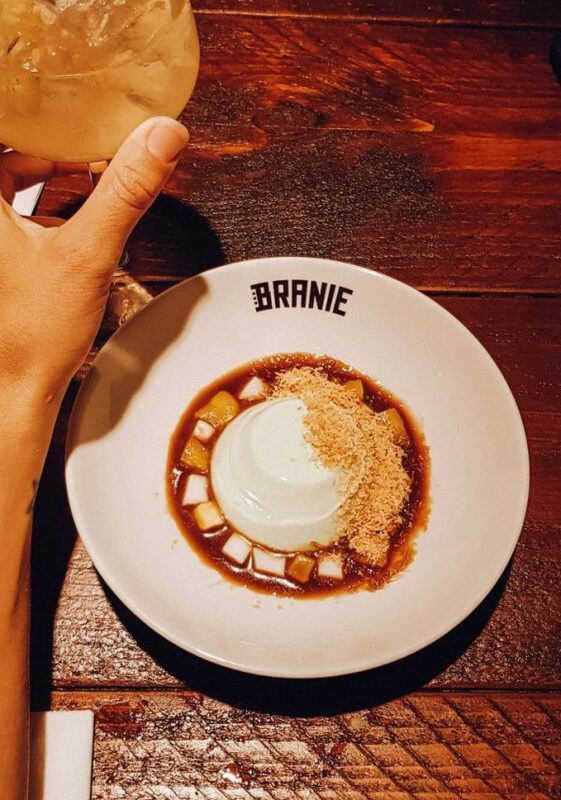 At Branie they do the same. 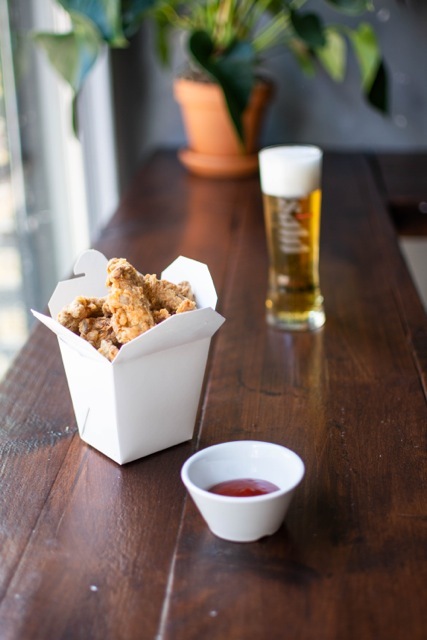 You are advised to order about 4 to 6 different dishes and you are welcomed with some spicy popcorn. We decided to go for the soft shell crab bao (which is served as a whole crab), the tea salad, the squid, prawn wangton (available upon request), some traditional chicken saté, and the Jackfruit Semoor, that has a meaty texture but is completely vegan. The tea salad needs a little more explanation because it actually contains tea and is specially imported. It has a sour flavour and great as a cold starter. The magic truly happens in the kitchen and behind the bar. Remco is a cocktail master and gives a modern twist to his cocktails. From Pandan Daiquiri, to Crying at the Piscoteque or the Damsko Fizz. You must try at least three! 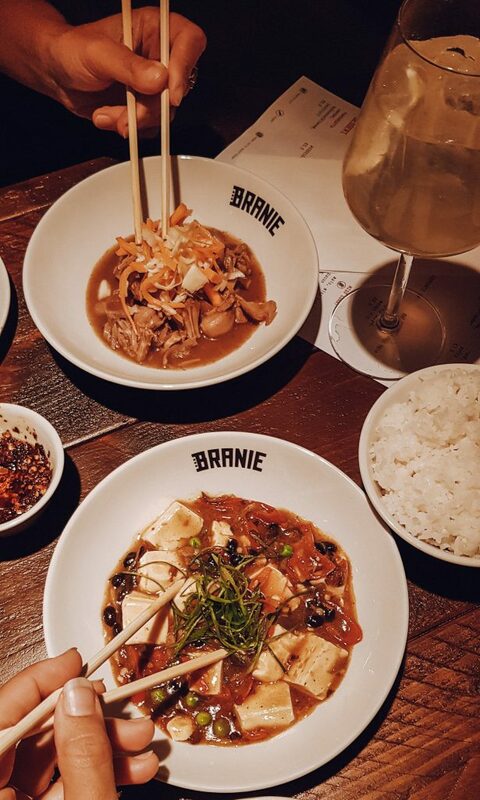 The decor still needs some finishing touches, but once the details are added (such as a neon light, and some plants), Branie is set to be your next “local” Asian with balls.